Great workers often have a burning desire to achieve a specific goal. They balance this drive with the ability to stay calm and follow their chosen rhythm. They do fine work and sometimes, as a by-product, find fulfilment. Different people demonstrate fighting spirit in different ways. They may fight for something or against something. They may aim to protect human values, serve a cause, follow their vocation, make full use of their talents or whatever. 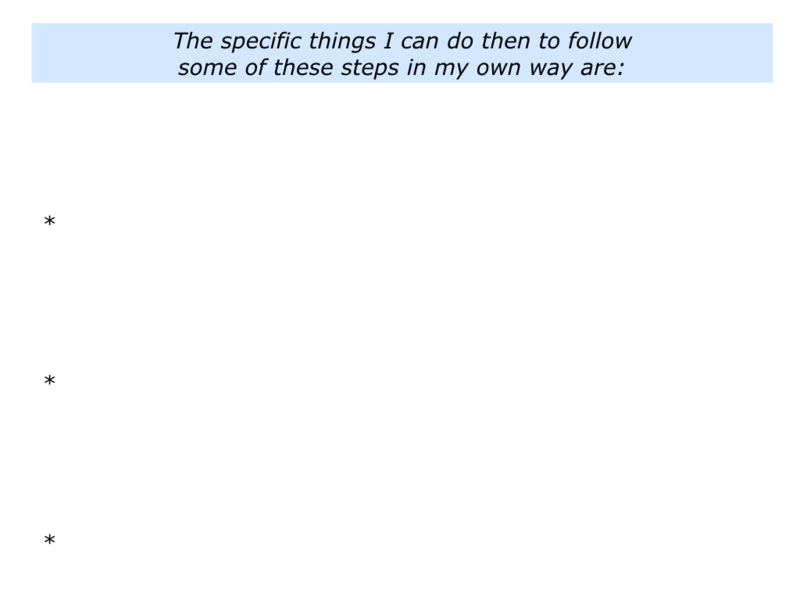 Looking at your own life, can you think of a time when you followed some of these steps in your own way? 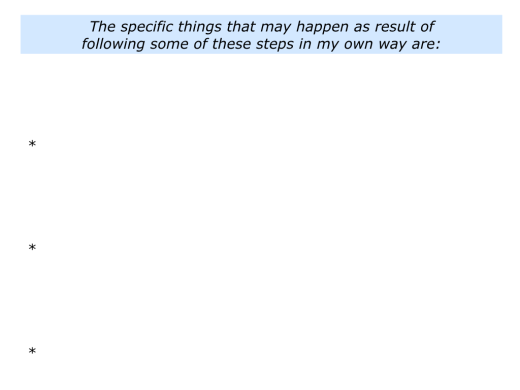 You may have taken these steps when doing something you believed in, playing in a sport, performing creative work, helping another person, pursuing a mission or whatever. 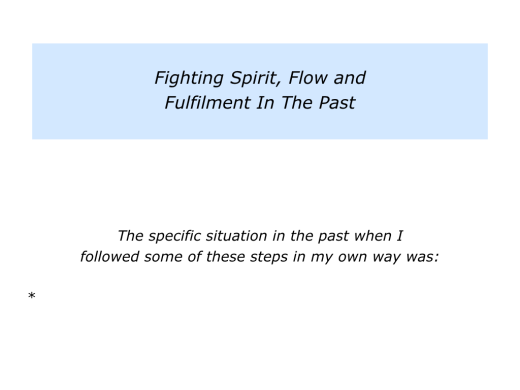 Describe a specific situation in the past when you chose to demonstrate fighting spirit and flow on the way towards achieving fulfilment. 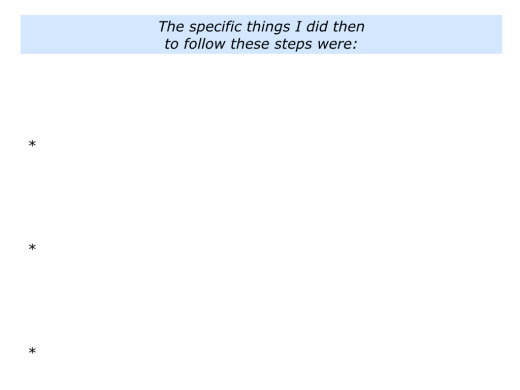 Describe the specific things you did to follow some of these steps in your own way. 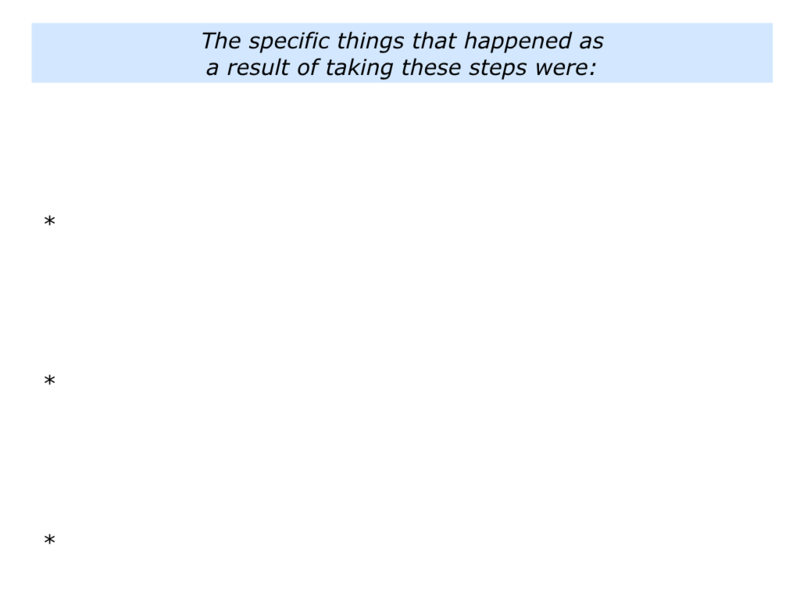 Describe the specific things that happened as result of taking these steps. Who have the burning desire to do something. Who translate this into action and do superb work. Who keep doing their best and overcome setbacks on the way towards achieving their picture of success. Different people demonstrate this quality in different ways. Anita Roddick, for example, showed it when starting The Body Shop. She may have appeared to be an idealist, but she was remarkably savvy. Anita learned the can do attitude from her Italian parents. They ran an American-style Diner cafe in Littlehampton, Sussex, during the 1950s. Opening at 5.00 am to cater for the fishermen’s breakfast, they kept serving throughout the day until the last customer was satisfied. Anita served in the cafe from an early age and felt what it was like to handle money. Anita had learned to provide good service that attracted and retained customers. Believing that retail is theatre, she tried to create a good atmosphere in the shop. She describes this in the following way. With £4000 borrowed from the bank I could only afford to spend £700 on products. But the 20 products we formulated looked pretty pathetic all standing on one shelf. So to make the shop look busy and full I produced them in five sizes of bottles. I couldn’t afford fancy packaging so I bought the cheapest bottles available and the labels were handwritten. Looking to the future, can you think of a specific situation in which you may want to demonstrate fighting spirit? How can you do this in your own way? How can you translate your burning desire to do something into action? Let’s move on to the next step. Great workers who demonstrate fighting spirit are often passionate about what they are doing. But they may then need to make an interesting switch. They may need to channel their passion into being calm and going into the flow mode to achieve peak performance. Mihaly Csikszentmihalyi pioneered much of the work in this field. He wrote the book Flow: The psychology of optimal experience. He says that flow experiences are those where you become completely absorbed in an activity and time goes away. You start by choosing to do something stimulating and stretching. This could be writing, skiing, solving a problem, tackling a challenge or whatever. You may then go through the following stages. You have a sense of control over your actions, do the work and get immediate feedback. You do your best, keep developing and perhaps achieve your picture of success. Great workers often create a framework they can follow to reach their goals. They then follow a rhythm that enables them to flow, focus and do fine work. Such workers also aim to flow, rather than freeze, when tackling a challenge. They may be preparing to give a keynote speech, run in a sprint final, sing at an audition or whatever. Looking ahead to the challenge, they explore how they can do their best and clarify their picture of success. 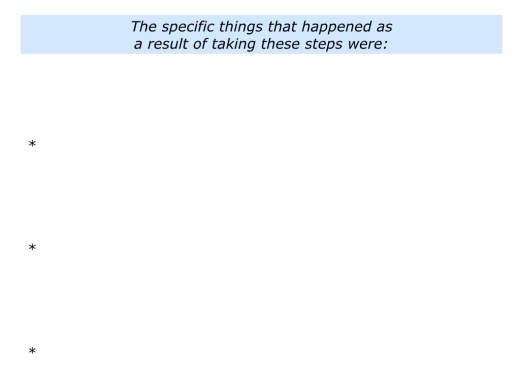 They then take some of the following steps. They recall the principles they have followed to flow in similar situations. 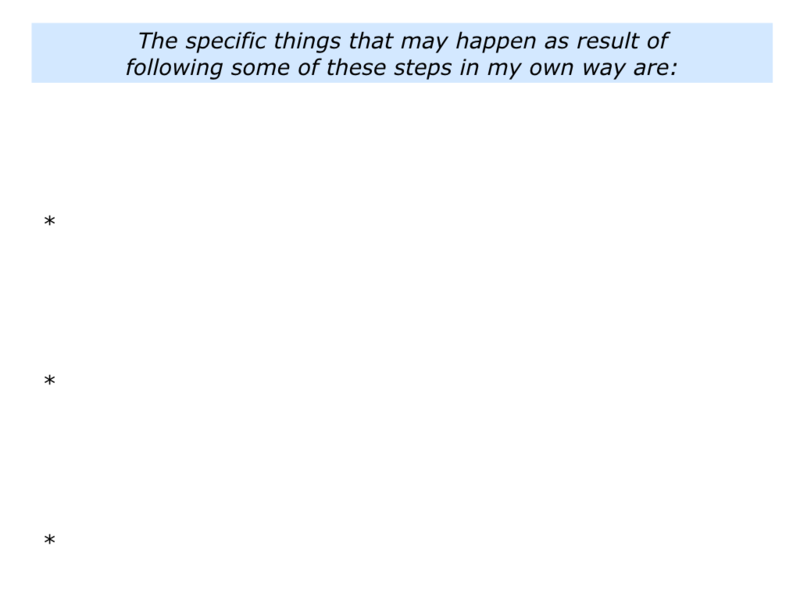 They rehearse how they can follow these principles – plus maybe add other skills – to flow in the future situation. They rehearse how they can manage any potential setbacks in the situation. They relax, re-centre and go through their own rituals before clicking into gear when going into the situation. They continue to be fully present, give their best and flow, focus and finish. 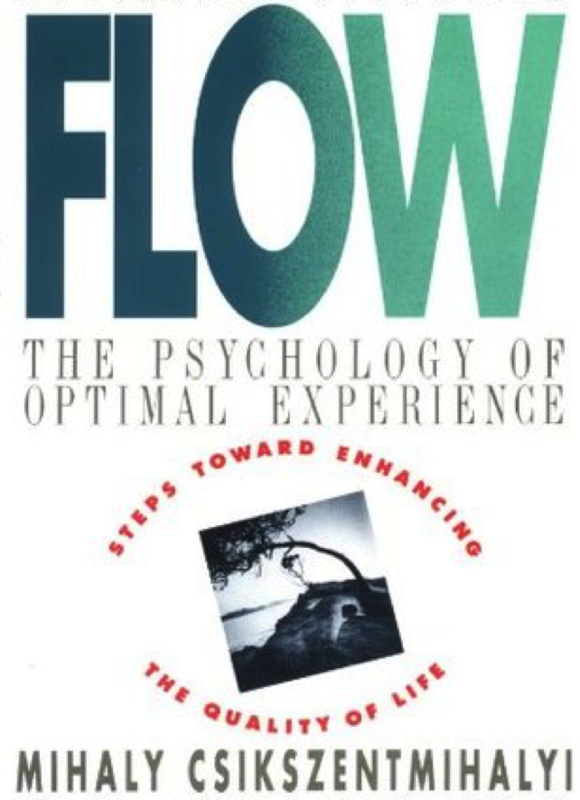 Mihaly says that teams can also go into a state of flow. Here is how he describes one example. Great teams are made up of people who have their equivalent of fighting spirit. They then create a framework that enables people to flow. They pursue strategies that enable people: a) To play to their strengths; b) To perform superb work; c) To achieve success. 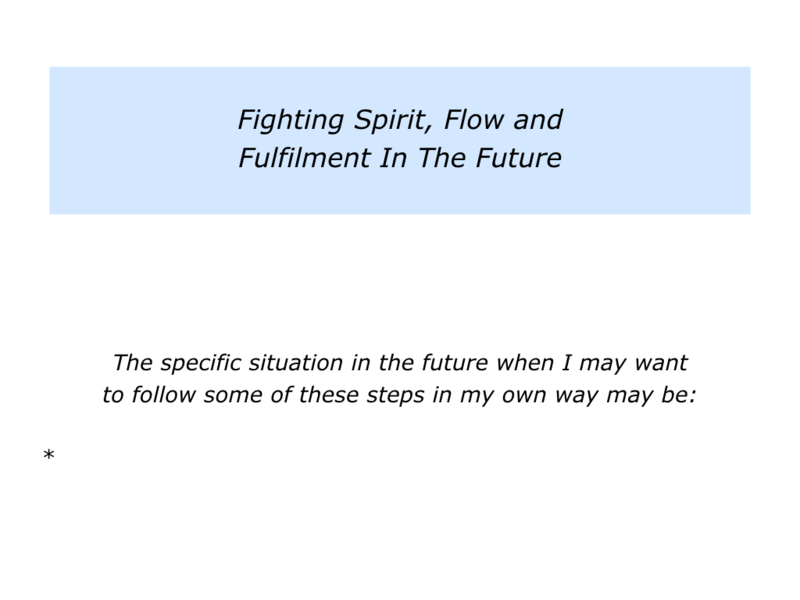 Looking to the future, can you think of a specific situation in which you may want to flow? How can you flow, focus and do fine work? Let’s move on to the next step. Different people get fulfilment in different ways. They may gain it from helping other people, making full use of their talents or reaching a specific goal. Some people gain it from doing their best during their lives. There are many exercises on this latter theme. One of these is called My Positive Contribution. This invites a person to describe the positive things they want to give to people during their time on the planet. Here is the exercise. A person can focus on the positive legacy they want to leave. 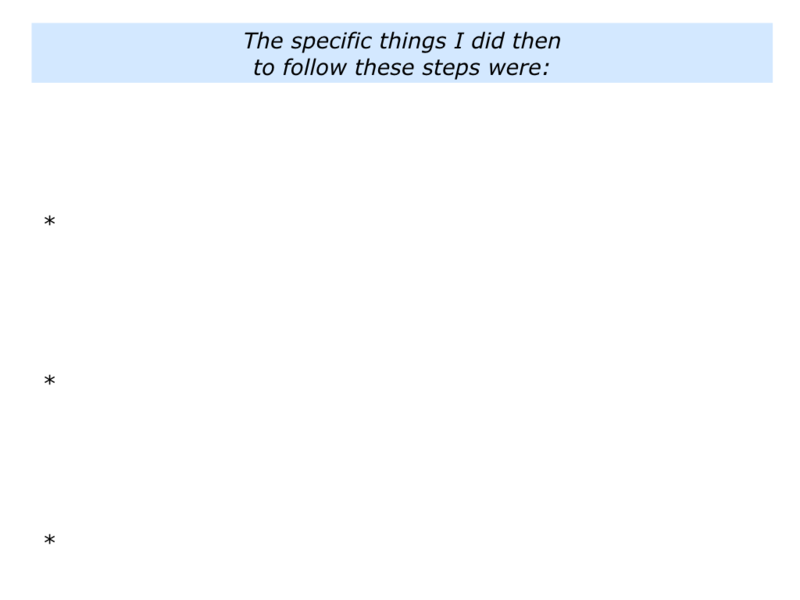 They can then aim to do something towards achieving these goals each day. Taking these steps can help them to gain a sense of fulfilment. People want a sense of meaning in their lives and work. Viktor Frankl highlighted this in his classic book Man’s Search For Meaning. Here is an old video of him talking about this to a class in 1972. Let’s return to your own life and work. 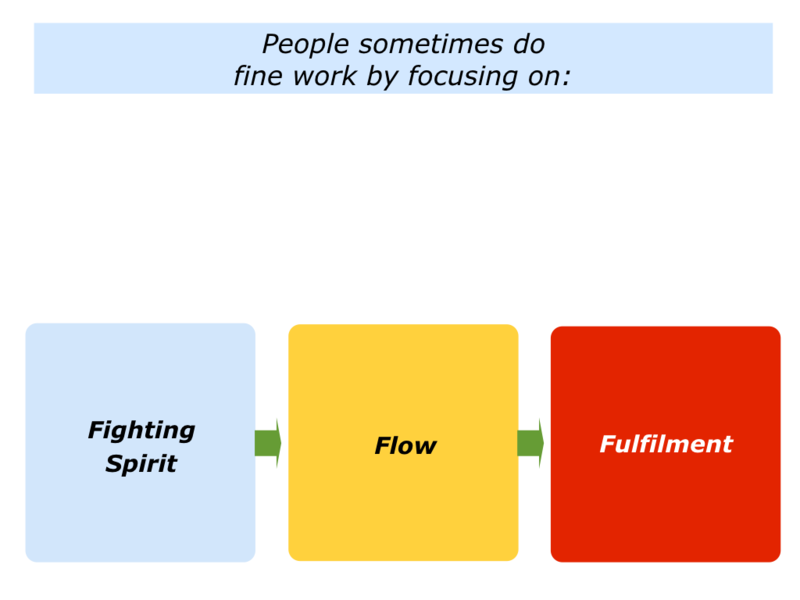 Looking ahead, can you think of a situation in which you want to focus on fighting spirit, flow and fulfilment? You may want to follow your vocation, pursue a mission, do a specific project, work towards a life goal or whatever. How can you demonstrate fighting spirit on the way towards achieving this aim? How can you follow your chosen rhythm and flow? How can you gain a sense of fulfilment? What will be the benefits to you and other people? 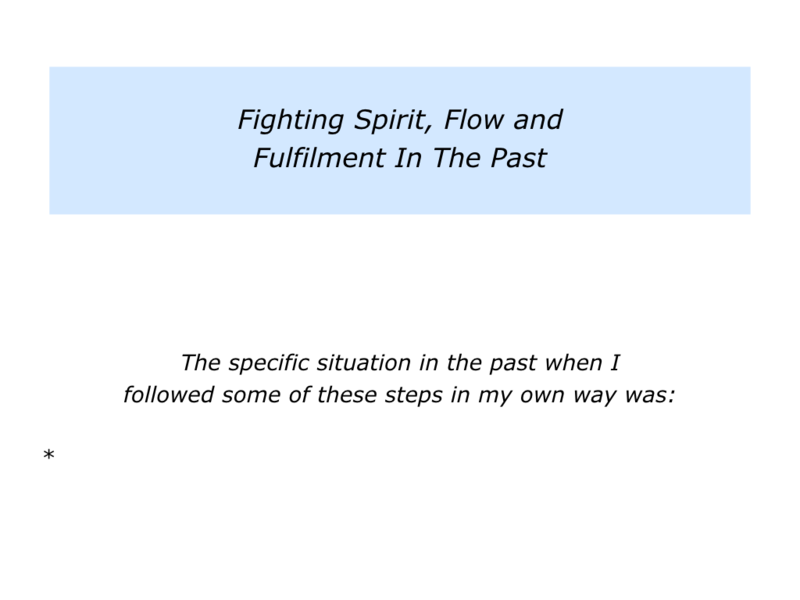 Describe a specific situation in the future when you may want to demonstrate fighting spirit and flow on the way towards achieving fulfilment. 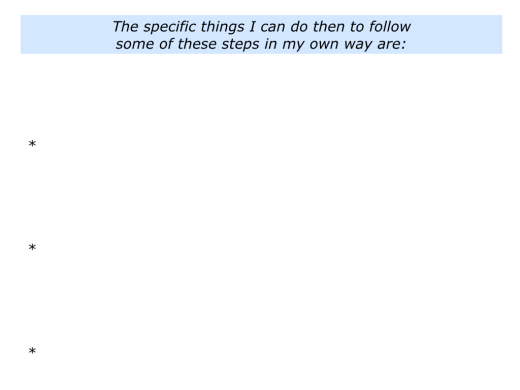 Describe the specific things you can do then to follow some of these steps in your own way.